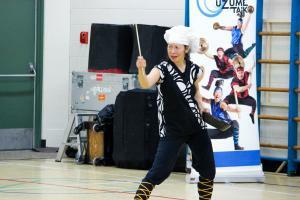 The gym was filled with the sound of drumming. The heavy beats of the Japanese Taiko drum could be felt even in the floor. West Langley Elementary invited out Uzume Taiko, a Japanese drumming group. 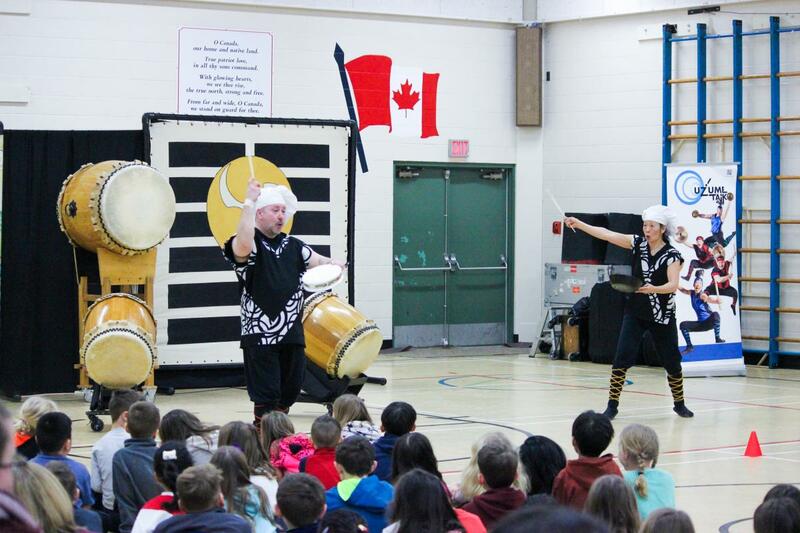 The two presenters, Jason and Bonnie, gave the students background on the art form, which has been a Japanese tradition for over 2000 years. 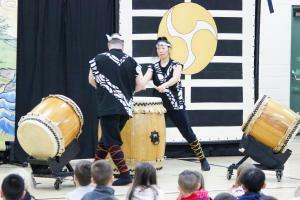 They shared how the drums were used in villages, battles, and dramas, as well as many other places in Japanese culture. It is often symbolized by the three commas in a circle, which means thunder. The symbol can be seen on the back of their coats, as well as on their drums. In the presentation, it was painted on the wall. 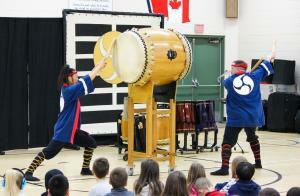 Many drumming songs were played, both classical and contemporary. There was even a song about sushi! 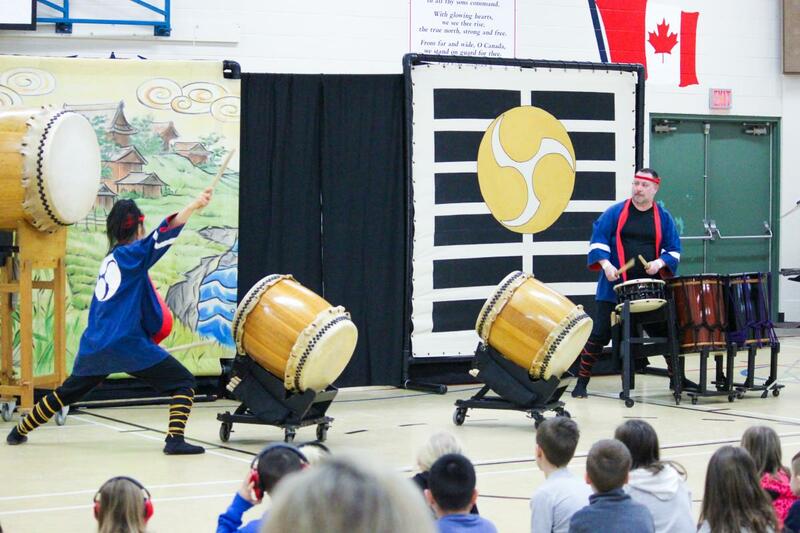 The drummers performed while doing martial arts or dancing as they were drumming. Some songs even included other types of instruments such as a flute or chappa (small brass cymbals held in the hand). The kids were also involved in learning some Japanese words related to drumming, as well as how to give a proper, energy boosting shout! 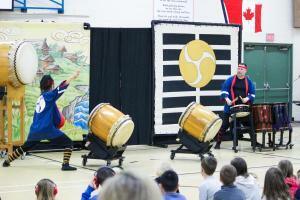 Uzume Taiko is a West Coast theatrical group, according to their website, based in Vancouver.